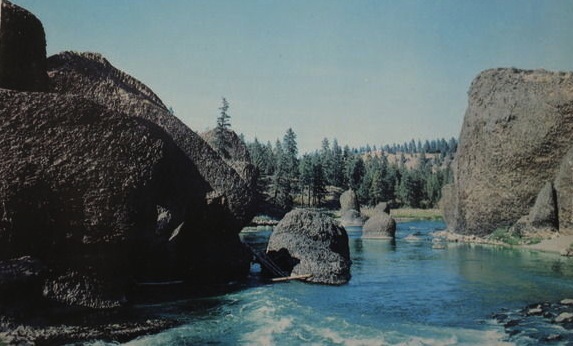 The famous "Bowl and Pitcher" rock formation on the Spokane River, Spokane, Washington. 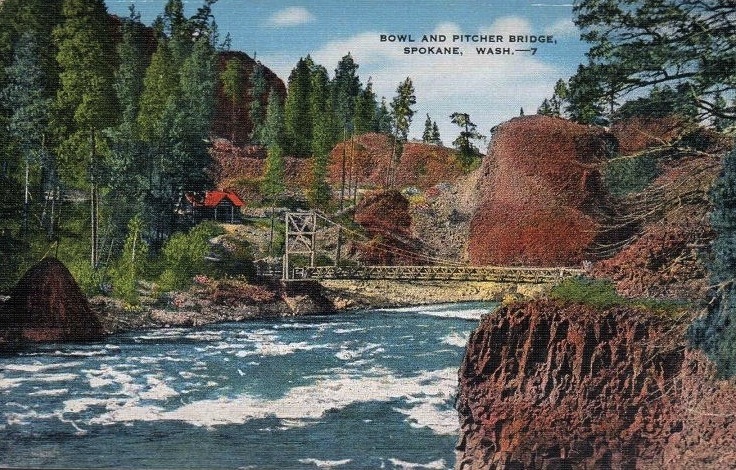 Bowl and Pitcher Bridge. Spokane is strategically located in the heart of the great Pacific Northwest. Midway between the crests of the Rockies and Cascades, it is the commercial, industrial and financial center of the Inland Empire, that great sweep of 150,000 square miles of country. Weird lava formations are interesting features of Riverside State Park, near Spokane, Washington. 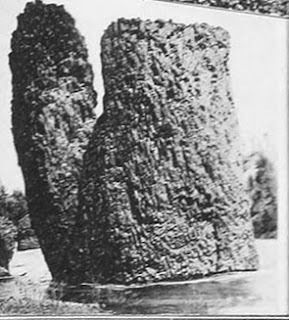 This view shows "Bowl and Pitcher" foundation, favorite of photographers. Campers, picnickers and hikers enjoy this lovely park, only minutes from downtown Spokane.